Welcome to The WDW Radio Show – Your Walt Disney World Information Station. I am your host, Lou Mongello and this is show #83 for the week of September 7, 2008. I literally just stepped off the Disney Magic, so I apologize for not having any news or rumors again this week, but I will give you a few updates I picked up while in Walt Disney World. As if the first weekend of the Epcot International Food & Wine Festival, the inaugural Expedition Everest Challenge, the final Hoopla at the Adventurerâ€™s Club, and just the fact that itâ€™s Walt Disney World isnâ€™t enough to get you down to the parks during the weekend of September 26-28, then my first segment just might be the extra little push you need. Adam Roth, the â€œboy wonderâ€ behind the Celebrations 25 event, joins me to talk about World Wide Weekend, the weekend-long, signature event that includes backstage tours, group rides, a chance to meet fellow Disney fans and so much more. Iâ€™ll be attending as well, and weâ€™ll tell you all about the events, and how you can participate. Since â€œTop Ten with Timâ€ sounds better than Top Ten with Samantha, Tim Foster joins me again this week for another Top 10 segment. 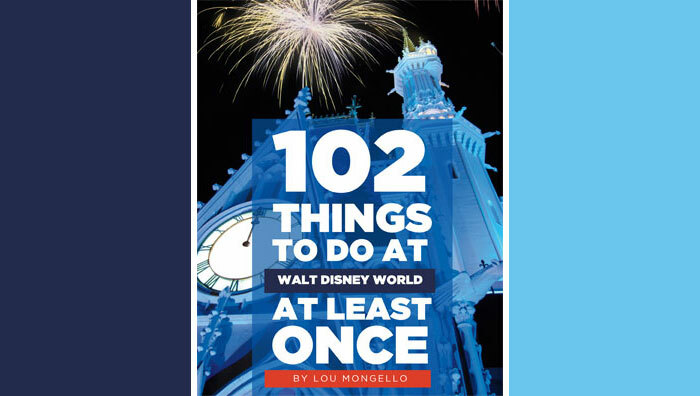 This week, we look at the Top 10 (or 30) Places to Get Away From It All in Walt Disney World. Itâ€™s some of our favorite out of the way places, little hideaways and diversions in and out of the parks. And finally this week, Iâ€™ll announce the names of the 3 contestants that will be moving on to the Final Round of the Adventureland Challenge Contest. Your votes have been cast and tallied, and we are one step closer to crowning the Ultimate Adventurer and the winner of the Grand Prize â€“ the 6 day, VIP vacation for 4 to Walt Disney World. Iâ€™ll once again end the show with more of your voicemails, so sit back, relax, and enjoy this week’s episode of the WDW Radio Show. Stay tuned to hear the finalists on the show, and how YOU can vote for who you think is the Ultimate Adventurer! Now available as an INSTANT MP3 Download! Coming Soon! – Celebrations Magazine! 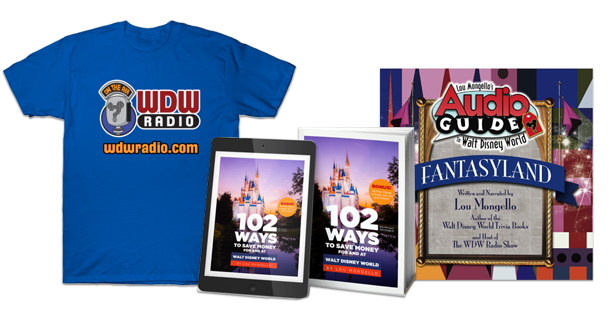 If you’re planning on visiting Orlando, Florida take advantage of this special for WDW Radio Show listeneres and Disney World Trivia readers ! Receive a FREE Rental Car and $50.00 Gas Card with your 7 Night Stay in a 3, 4 or 5 Star Vacation Home! Search for the perfect vacation home or call All Star Vacation Homes today to find out how you can save on your Disney World Vacation! Just mention WDWTRIVIA when you reserve your vacation home! Note: Not valid during peak/holiday seasons or with any other discount or special. Some of my get away places… A walk around Crescent Lake, first thing in the morning. A very peaceful and relaxing way to start your day at WDW. 2 laps around worked well for me. Enjoy the sunrise! Just right and back from the entrance into the Imagination Pavilion (back where the rest rooms are). Usually nobody back there! While waiting for family members/friends to use the restroom, you can take in relaxing views of the Land Pavilion, Spaceship Earth, the Monorail, the beautiful landscaping and more from a distance. Very quiet spot. AND of course, the TTA! The perfect way to get away, and observe from a distance, a very busy Magic Kingdom. Another great show! Thanks again, Lou!! !